3dsense is a group of artists and programmers that makes use of combining high-end technological procedures and artistic elements in order to attain unique interactive performances. 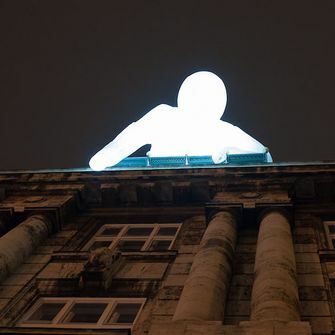 Its artwork includes light points, projections, videomapping shows, museum exhibits or stage scenography. 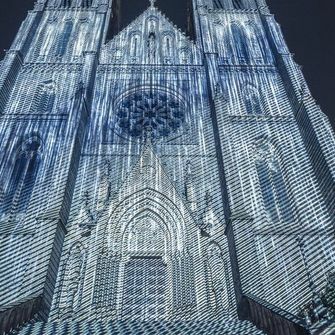 Among already implemented projects we can mention, for instance, videomapping on the Rudolfinum building on occasion of the first year of Childhood Cancer Day or Welcome Show for prince Edward at Martinic Palace. The interactive project FACES is created by the visitors themselves using the Intel RealSense camera, which can capture a 3D model of the human head. 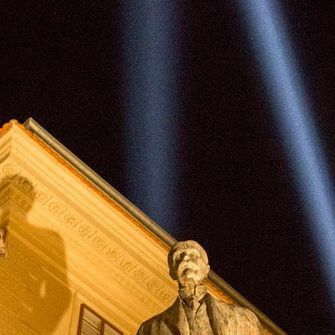 The three-dimensional faces of the visitors are projected directly onto the Šítkovská Tower, where they can be played with or used to create illusions depicting the demolition of the tower or laying bare its inner pathways. It’s therefore up to the visitors as to what marvels they will create for themselves and others.